Welcome to Young America Mutual! Young America Mutual Insurance Company insures property in all of the following counties and townships within each county. 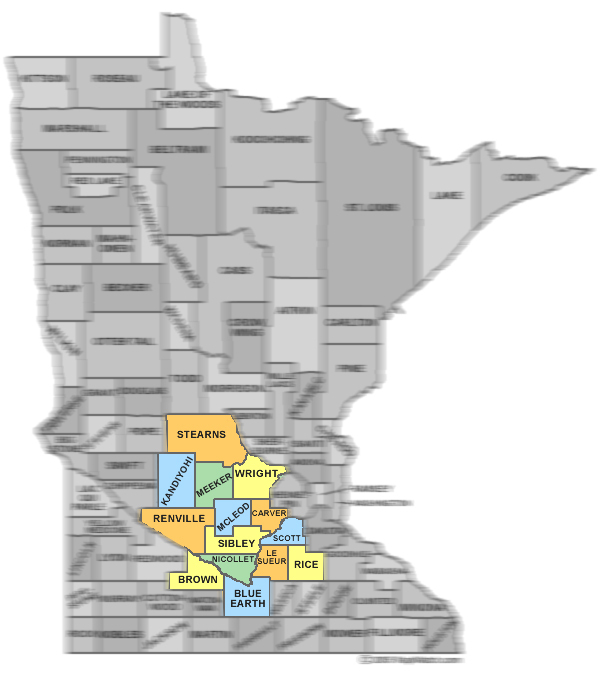 All of McLeod, Sibley, Carver, Wright, Meeker, Scott, Nicollet, Renville, Stearns, Kandiyohi, Brown, Blue Earth, Rice and LeSueur counties. . Also included are the following cities of the 2nd class: Chanhassen, Chaska, Faribault, Mankato, Prior Lake, St Cloud, Savage and Shakopee.